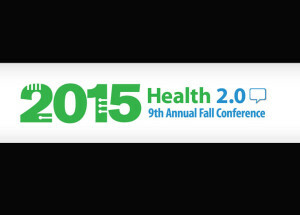 Tag Archive | "Health 2.0"
The fall 2015 conference for Health 2.0 is poised to be a can’t miss experience. According to an announcement from conference organizers on Thursday, this year’s 4-day presentation will serve up 150 live product demos, more than 100 thought leaders, 10 new company launches, and over 2,000 attendees. Billed as the largest global conference and innovation community in digital health, Health 2.0 has also confirmed today the final agenda for its 9th Annual Fall Conference. Last week, during Health 2.0, mHealthWatch connected with the team from Doctor On Demand to discuss the future of telemedicine and mobile medical care. One of the many advantages of telemedicine is that it holds the potential to make access to general healthcare easy to achieve from anywhere with an internet connection, and in many cases, for an affordable price point. While there are many telemedicine services vying for the #1 position, Doctor On Demand is already among the fastest growing. Last week at Health 2.0, Allscripts — a health IT solutions provider focused on population health management adoption – showed off its new Developer Portal which was used by Code-A-Thon attendees to integrate with Allscripts solutions. This week at Health 2.0, INetU — a customer-centric cloud company – showed off its new HIPAA Compliance Dashboard to those in attendance at the conference. Ahead of the demonstration, mHealthWatch caught up with David Fowler, VP of Marketing at INetU, to discuss his company’s latest offering and the role INetU looks to play in the healthcare space moving forward. Welltok is a company that aims to enable health insurers and other population health managers to guide and incentivize consumers to optimize their health. This week at Health 2.0, mHealthWatch was fortunate to connect with Norm Wu, CEO of i-Human Patients, for a quick Q&A. Given our penchant for picking the brains of knowledgeable industry innovators and visionaries, this was an opportunity for which we were particularly grateful. Check out the brief interview below.